PEMF stands for Pulsed Electro Magnetic Field therapy; using this particular process involves directing powerful, pulsed energy waves toward damaged or injured areas of the patient’s body. These waves painlessly and quickly pass through the cells in the damaged region, increasing the spin of the electrons contained within them as a result. It is this amplified electron spinning which restores the cell’s potential (its energy), regulating its volume at the same time. And, unlike some other forms of CAM, this positive cellular effect lasts for as many as four days after the treatment session has ended. With that, PEMF therapy is: The induction of electricity into the cells to help stimulate or promote healing. Through PEMF therapy, your batteries (i.e. your cells) essentially become recharged. The energy supplied via PEMF waves gives them the energy they need to ward off whatever is threatening them, whether it’s a trauma or disease-based threat. This makes it easier for your body to restore its health naturally, simply by using the electrical currents and impulses that are already interacting within and throughout their cells. In essence, high-powered PEMF is like a “battery re-charger” for your depleted cells. This caused Goodwin to conclude that, “As is clearly demonstrated in the human body, the bioelectric, biochemical process of electrical nerve stimulation is a documented reality.” In other words, it works and it works very well. Goodwin, Thomas J. (2003). Physiological and Molecular Genetic Effects of Time-Varying Electromagnetic Fields on Human Neuronal Cells. Lyndson B. Johnson Space Center. Pulsed electromagnetic field (PEMF) therapy isn’t typically as well-known as other forms of treatment such as chiropractic, massage, and physical therapy. Therefore, many people assume that it’s a relatively new remedy, leaving it wide open for speculation when it comes to its positive effects. However, the truth is, PEMF has actually been used to help people live a healthier life for quite a long time. Thousands of years to be exact. Centuries later, during the Middle Ages, use of these types of stones was again recorded, this time referring to them as “lodestones” which were placed upon the patient’s body in an effort to achieve greater health. Then, in the late 1800s, science increased our understanding of electrons and electro-magnetism, prompting healthcare professionals to consider using magnetism and electricity for a number of different ailments, ranging from an inability to sleep to actual physical convulsions. Specifically, Valone shared how it was Nikola Tesla who would majorly impact PEMF’s use—forever. Tesla made this assertion after having used coils as big as three-foot in diameter to treat ailments without making any type of physical contact with their bodies. And it is because of this breakthrough device and its related findings that magnetic field strength today is measured in Tesla (T). While this was all new and extremely hopeful information, especially for that period of time, it wouldn’t be until more than two decades later that PEMF as we know it today would begin to really take form. In his presentation, Valone went onto say that it was 1922 when Alexander Gurvich, a Russian doctor, and his wife discovered that our body’s cells can communicate certain bits of information with each other—even if they are physically separated by a plate of glass. Three years later, this concept was taken one step further when Georges Lakhovsky shared his ideology and theories that the reinforcement of cell oscillation with radio waves increased their ability to fight off damage or disease. It did this by making them stronger and more resilient, Lakhovsky ascertained. Over the course of the next several decades, many researchers—Royal Raymond Rife, Antoine Priore, Robert Becker, and Abraham Liboff, to name a few—would each identify and research various pieces of information which, together helped create PEMF as we know it today. Although electromagnetic therapy techniques essentially started with Tesla’s three-foot coils, engaging in PEMF therapy today is simpler on the patient and doctor alike. However, if it weren’t for the ideas, curiosities, and ahead-of-their time findings of individuals such as Tesla, Gurvich, and Lakhovsky, PEMF therapy would not be where it is today. Who knows? It may not even be at all. Some treatment devices offer relief limited in nature. Take dental braces, for instance. These are devices designed for one reason and one reason only: to align and straighten your teeth, thereby improving the health of your mouth. To apply them anywhere else on your body would serve no beneficial purpose whatsoever (not to mention, probably look more than a little foolish). The same is true with foot orthotics. They were created to correct foot and leg defects due to trauma or disease, or any type of issue that occurs as a result of bio mechanical inadequacies. However, if you wear them on your hands, this would do you absolutely no good. Study participants also reported improvements in disability and range of motion, especially when compared to a control group who received sham PEMF treatments. 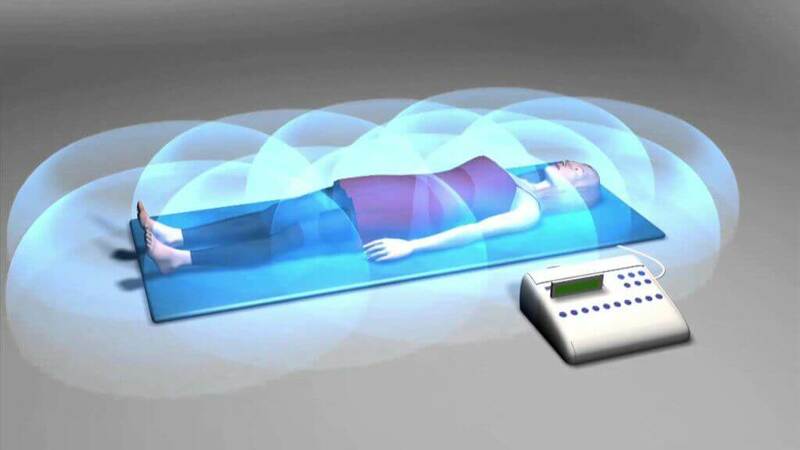 Seventy-seven percent achieved body-to-body fusion after being treated with PEMF. The researchers involved in this study also pointed out that PEMF “required no hospitalization, reduced morbidity, and avoided the risks associated with surgical intervention”—three more reasons why this remedy is a preferred treatment choice. PEMF is even helpful when it comes to chronic conditions that affect your entire body. PEMF has also shown positive effects with Alzheimer’s disease, Lou Gehrig’s, cancer, heart disease, depression, diabetes, endometriosis, epilepsy, headaches, glaucoma, hepatitis, kidney problems, lung disease, lupus, multiple sclerosis, pancreatitis, Parkinson’s, sexual disorders, sleep disorders, spinal cord injury, stroke, Tourette’s, ulcers, urinary problems, and more. Huang, Li-qun et al. Clinical update of pulsed electromagnetic fields on osteoporosis. Chinese Medical Journal. 2008; 121(20):2095-2009. When it comes to choosing a treatment option, one of the first questions most ask is: “Is it safe?” And, rightfully so. They back this statement by reporting that even hospitalized patients are at risk, with one out of every ten harmed while in what is supposed to be one of the safest medical environments. It only goes to reason then that safety is also a major concern and consideration for patients who are interested in PEMF therapy. So what’s the answer to the question of whether or not PEMF is safe? If you answer this question based on research alone, then PEMF is in fact a safe treatment remedy. Post-surgery, approximately half of the participants engaged in PEMF therapy while the other half served as a control. After evaluating the patients’ statuses at one, two, three, six, and twelve-month intervals, the researchers concluded that, “There were no differences in the incidence of adverse events in the two groups, indicating that the use of PEMF stimulation is safe in this clinical setting.” It’s important to note that, although PEMF was deemed safe in this study, there was still one major difference between the group who participated in this therapy and the group that did not. And that’s in the positive effects that PEMF offered. Notably, the researchers found that the PEMF group had an 83.6 percent fusion rate at six months’ post-op compared to the control group’s 68.6 percent. Additionally, fusion rates for the PEMF group were still higher at the 12-month point, with a 92.8 percent success rate for their group versus only 86.7 percent for the control. While the researchers ultimately recommended that more research be conducted on this particular treatment method to be able to clearly say that it is effective for a variety of different health conditions, they also noted that“ Acute adverse effects have not been reported.” This was after reviewing 11 PEMF studies in total, each of which had anywhere from 12 to 71 participants. The list could go on and on as there are several more studies that have focused on the same thing, too many to mention to be honest. However, there is one common theme among all of them and that is that PEMF is a safe treatment option. That makes this one concern that can be crossed off your list.